Find out how to avoid DIY plumbing mistakes with Clovis Plumbing Services! DIY people are creating their own arts and crafts, performing car repairs and even cooking exotic dishes. They are also pretty involved in their own home repairs, particularly, plumbing. 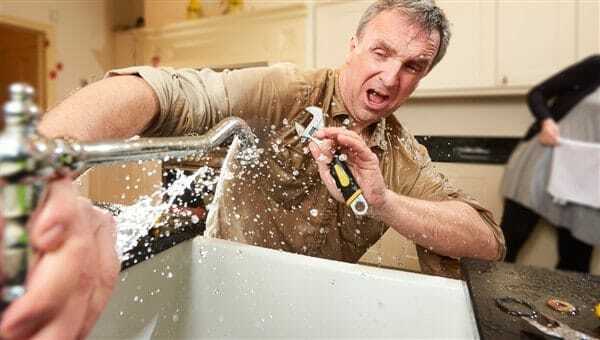 If there is a DIY project that a homeowner wants to stay away from, that would be plumbing repairs. It can cause a great deal of inconvenience and cost a lot of money. Knowing exactly what these mistakes are would be extremely beneficial. Although DIY is popular due to “cost savings” it actually may end up costing a more going it alone. Here are some of the top plumbing mistakes that can leave homeowners wishing they had just called a professional. In most cases, people have to hurry in their plumbing work because they need their homes in order for a special event. The fact is that it is never wise to rush through your plumbing work, regardless of the pressure on you to complete it fast. The most common mistake in this regard is not to turn off the water. If the task you are performing requires the water to be turned off, there is no exception. If you do not have the ideal skills to do plumbing work, do not dare. One of the biggest mistakes in installing plumbing accessories is forgetting some details. No matter how small, they contribute a lot to the overall integrity of the plumbing system. It's better to spend a little more money and get an expert to do the right job. This will save money in the end because you did a shoddy job at repairing it by yourself. The devastating indoor floods can cause a surprising number of frozen pipes that will burst. An important part of home maintenance in winter is the separation of the garden hose (s). If you have a separate control, turn off the water that supplies the outlets. Frozen pipes can easily burst because the water expands when frozen and the pipes are not designed for this swelling. A burst water pipe can ruin a cellar, making you to wade through the water trying to save your belongings. Floods like these causes excessive damage to floors, walls, and appliances. If a pipe break goes unnoticed for too long, thousands of dollars have already been incurred in damages. If the leak occurs in the floor or in the walls of your home, the damage can be even greater. In DIY plumbing, it is common to reach the nearest pipe of the right size and shape. However, it is also important to pay attention to the material of the pipeline. The most common mistakes when joining two pipes are related to material and size. When fitting two pipes of different sizes, the correct joint must be used to ensure proper sealing. Another very common mistake is to connect a galvanized metal pipe to a copper pipe. These materials react to each other and the joint corrodes very quickly resulting in leaks. To connect these materials, brass or other suitable fittings must be used. A quick glance at the warnings on a bottle of drain cleaner shows you that it's very heavy duty stuff. Products designed to keep the drains clear and remove obstructions often contain extremely harsh chemicals. With regular use, they do their job quite well and without side effects. However, for stubborn blockages in the same pipe, drain cleaners can do more harm than good. We tend to think pipes are hard to damage, and they are. But they are still not invincible to damages. Excessive use of something as hard as blockage remover can eat on the pipe, whether metal or PVC. If a toilet or sink drain is clogged repeatedly, blockage removers will simply not be enough. Persistent blockages are usually trapped in the pipeline and require traditional snake tools for home use. It could be a toy, a piece of jewelry or even a tree root! For clogs that continue to occur, it is best to consult a professional plumber. They have larger and stronger snake tools and also have experience in the situation. The average homeowner simply does not have the need to be familiar with plumbing regulations. However, if you try a DIY project without consulting your city representative, you can expect a costly surprise. Depending on the scope of work, many cities require a permit before you can work on a plumbing project. Some areas require a permit to install a toilet, while others only require extensive renovations. Find out about the rules in your area before engaging in a DIY plumbing job. It's unlikely that the city will pop in your bathroom soon, right? Not correct. Plumbing work that is carried out without permission can cause problems in a number of ways. In all localities, there are rules and regulations governing plumbing work carried out in their respective jurisdictions. While a homeowner may not know all the rules, every professional plumber must be well-versed. Ignoring the law can cause problems when selling your home and may expose you to more risks. Visit our Plumbing Safety page for more details on how to perform your next plumbing project safely!